Fifth-Graders Enjoy Camp Out Day! To help celebrate finishing their year end testing fifth-grade students enjoyed a fun camp-out day! One of the favorite activities of the day was the singing campfire songs by the "campfire" while Mrs. Terri Jensen played her guitar. Another activity the students enjoyed was eating smores. What a fun way to celebrate completing testing and the end of the school year! Read more about Fifth-Graders Enjoy Camp Out Day! Fourth Graders Celebrate End of Year Testing by Having a Disney Day! Fourth-graders in Mrs. Cynthia Loreen's class held a "Disney Day" to help celebrate end-of-year testing being done. Students wore Disney clothes and brought in Disney memorabila to celebrate this fun day! Read more about Fourth Graders Celebrate End of Year Testing by Having a Disney Day! Brockbank Foster Grandma Pearl Bufton is Retiring After Eight Years in First Grade! Foster Grandma Pearl Bufton is retiring after eight years here at Brockbank. She has spent the past eight years helping in Mrs. Janna Runolfson's first grade class. She is such a sweet lady and is going to be greatly missed by all. Read more about Brockbank Foster Grandma Pearl Bufton is Retiring After Eight Years in First Grade! On May 12, 2012 an open house was held at Brockbank Elementary honoring two amazing and well loved ladies, Mrs. Kathy Moon and Mrs. Sally Nelson. These ladies have touched the lives of many children throughout the years and will be greatly missed. We wish them the best! As a learning experience for social studies, Brockbank second-graders were assigned to do an oral report for their class. They chose either an animal or continent, did research on that animal or place, and then did a report on it. The students did a really good job preparing and giving their reports to the class. Parents and grandparents were invited to come and listen to their student give their report. Some of the students brought live animals to class.It was a great learning experience! May 22, a representative from Huntsman's Cancer Foundation came to Brockbank to receive a check raised from the school's "penny war" where students raised money to help fight cancer. Sixth-grade student council members motivated students to bring in their pocket change to help this great cause. Brockbank Elementary donated enough money to receive 3 bricks. Each brick cost $350, Huntsman will engrave, "Brockbank Elementary" on the bricks and they will be put on the "Walk of Hope" a brick path being built between the Huntsman Cancer Institute and Huntsman Cancer Hospital. 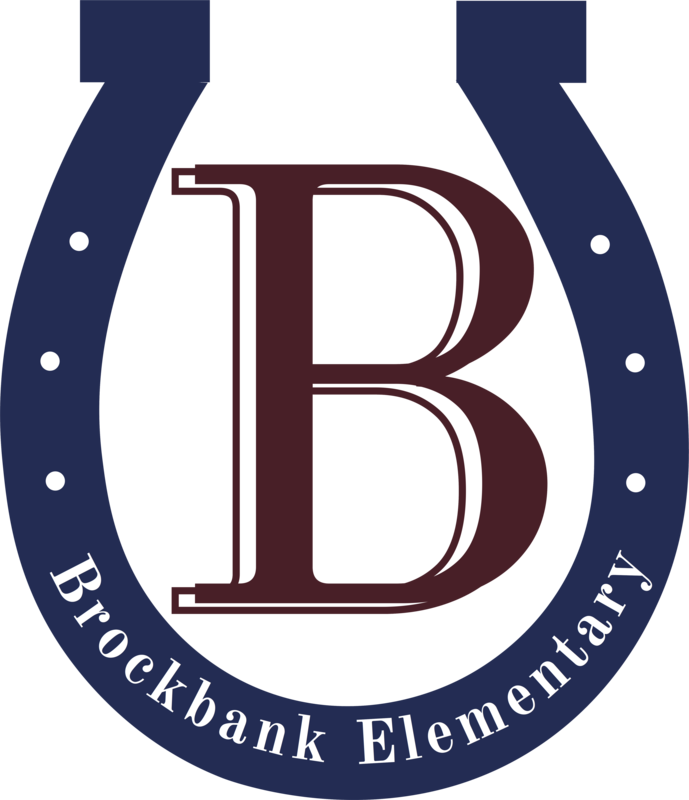 Thursday, May 17, Brockbank Elementary held graduation for all sixth-graders advancing to Junior High School. Family and friends were invited to join the students in a fun evening. To start off students shared their singing talents, after which each student was introduced by their teacher and given his/her diploma. Each of the sixth-graders told the audience a favorite memory from sixth-grade. Many of the students began attending Brockbank in kindergarten, and have many happy and fun experiences at our school. Brockbank Second-Graders Enjoy Field Trip! Brockbank second-graders recently went on a field trip to the Monte L. Bean Museum located at BYU and then to Classic Skating in Orem. Mrs. Ashley McDonald's class for a writing assignment wrote letters on what they saw, and about their experience at the museum. Read more about Brockbank Second-Graders Enjoy Field Trip!